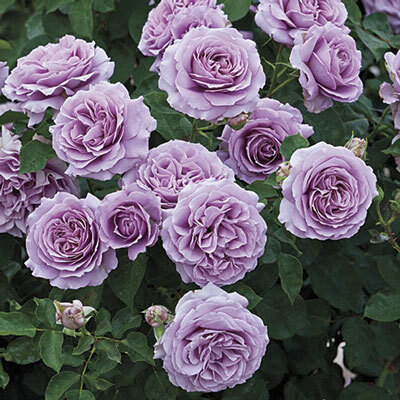 Loads of big beautiful blooms can nearly cover this sultry siren. Her profusion of pulchritude is only matched by the surprising duration of the display. Those lovely lavender old-fashioned flowers just seem to last and last...without turning a lurid gray. Underneath all that beauteousness is a bushy rounded plant clothed with great rich green leaves. But you may have to dig to find 'em. Go ahead …bury your face in those beautiful clusters and burst into song. It'll be love at first sight. Largest flower size in cool temps.